He lived abroad in the Sultanate of Oman until ten, then came back to Italy. After roaming around Italy, he stopped in Siena in 1998. He has three kids a beautiful partner, and now has brought some land and wants to set up a farm based on permaculture design. He's a book geek, loves reading and one day maybe he'll write something down. 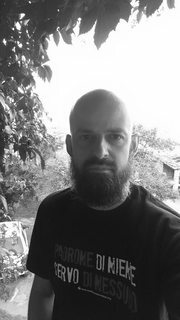 He translates from and to english articles for different magazines and online sites, and writes book reviews. He loves building stuff with reclaimed wood, he loves to say: our hands are our first tool. Greg Hamilton wrote: will this be reprinted? Permacultrue knowledge needs to expand exponentially if we want to make a change in this world. What a better idea of getting out to the public with a set of cards that one can use for normal games with firends or family but at the same time sharing a treasure of knowledge? Put together two minds that use creativity in a different way, Paul Wheaton and Alexander Ojeda, and you will get a great result. The drawings are awesome, I've even brought the t-shirts Alexander designed, his art is great. I must say I use them mostly to play patience beacuse I love reading every card that passes through my fingers. I guess a new set could be designed to play card games that need a double set and to get out even more information. All in all this card set is a great gift and a great way of getting the word out there. Great to see the final result, I'm still watchjing the videos of the ATC to see the process. IS there any place where we can read more on the black paint Erica speaks about? 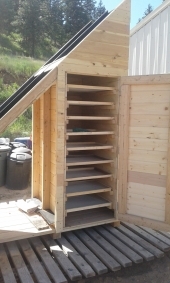 I'm very interested in this for my dehydrator. Forest Gardening in practice is a book that comes out at the right time. We have many titles on forest gardening but this book changes our perspective on the subject. It has been written by Tomas Remiarz a known permaculture teacher and consultant, that has worked for the past twenty years in the UK and Europe. Up till now we have read books that share a deep understanding of how plants interact. Forest gardening for many is mimicking natural ecosystems at its height, yes, but it is more than that if we take the discussion a step forward focusing on the interaction between plants and people. And this is what Tomas Remiarz has done in his book. We are now thirty years from when Robert Hart defined our current concept of forest gardening. These thirty years give us the opportunity to look at what has worked and what has not in forest garden design, we have sites that have evolved for the past twenty or more years and share a story. The story is not only that of the succession of plants and growth of the canopy. No, it is the story of the people that started those projects, what led their original design and how this evolved, changed in time, and how in some cases they passed their forest gardens on to others. These thirty years give us the opportunity to see how communities have worked and work in shared spaces, how groups interact in the maintenance of sites, how people learn skills and learn to share them. These thirty years share the errors and frustrations people have encountered. Plants and people interact not only on the yield-harvesting level, there is more to our relation even within designed natural ecosystems and the author shows it to us. Tomas looking back at the past thirty years shares more than fifteen case studies in different climates, with different sizes and settings, from backyards, to educational, commercial or public settings. Each case study is a chapter by itself, and the author shares a lot of information on every project. But even specific aspects are discussed in thematic chapters. This is the central section of the book. The book is divided in four sections. The first sets the context of forest gardening, how it evolved and how it relates to other fields as agroforestry and. Section two takes the reader down a walk in Nature understanding how it works and what is helpful for design. Then there is section three that as said is the core of the book. Section four is a step by step guide to laying out an edible ecosystem, but it is not only focused on the first theoretical stage of the work but even on the practical planting phase and its maintenance or dealing with problems. This book takes our knowledge on forest gardening a step forward. It is great to read at the same time sharing real research data along with personal stories of the designers and stewards of the forest gardens recalled. Tomas has a way of writing that is friendly and informative, his way of describing some sites he visited is so descriptive the reader can actually see them, create an image from text, but there is more, there are all the photos. The visual side of this book is very strong. Tomas shares his work with a collection of exceptional photos, their colour and beauty inspires. This is not the usual book on forest gardening, describing only layout patterns or listing plants, this is a book that will take the understanding of forest gardening to a social level. 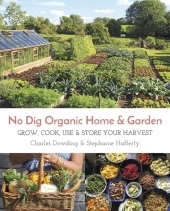 Charles and Steph have more than thirty years of experience in their hands and this book sums up the work of two exceptional No dig gardeners. This book is informative, complete in the way it takes the reader form setting up a No dig garden, and on to harvesting, preserving, cooking and much more. Charles and Steph have condensed and shared a lot of their personal experience achieved in thirty years of keeping their hands in the soil. Charles as a No dig expert has worked extensively in the UK and France on different soils, always with great results. He has been told off in the past for having dirty fingernails but what could a reader expect from a pioneer of No dig like Charles. Steph has her own faceted story, being passionate about cooking and gardening, she has worked for years as a kitchen gardener for various restaurants, setting up their gardens to supply directly them all year round fresh vegetables, in the meantime she has been cooking what she grows and making potions from her harvests. You can’t say you’re a gardener if you don’t know what to do of your harvest. The truth is gardening is not for the harvest but for the soil, and looking at our perspective it is for well-being and living a healthy life eating fresh, nutrient dense food. Steph sums up perfectly this perspective. In the years she has tried numerous recipes to make even the less interesting vegetable tasty and desired. She shares some of her best recipes in the book. But from a garden we don’t only harvest to eat but even to make potions from herbs, flowers or roots, that help us in the house and are treats for our bodies. Some maybe known others are more intriguing. You can’t really garden if you don’t know what to do of your harvest. Passion, commitment and responsibility, and lots of fun. This is what the reader will learn in this book. Charles and Steph don’t put together a list of rules of what to do in the garden, but share their opinion on why we should take certain decisions. There is a big difference between what and why, the first is just an execution, the latter is instead a mind opener, that makes the reader ask questions and work by trial. Start small and build confidence. I have to know why I take a certain decision, may it be on mulch, compost or row covers for the winter garden. The profound knowledge shared in the book is based on an 8/9 climate zone, but the advice they share is fully adaptable to other climates, because ultimately the reader will learn to understand climate and soil and work in context. Charles and Steph are great communicators, they have each their site, their blog and Charles has a youtube channel that is a treasure of wisdom and experience. Their commitment to sharing their experience and practice has led them to be incredibly effective in taking photo’s of their work, documenting with precision and sharpness. This book is a masterpiece of this effectiveness, some of the photo’s while being inspiring made me hungry. My partner went through my review copy of the book and was struck by the photo’s colours, I assure you will be amused. The reader will take a journey through twenty chapters that start from the beginning, preparing the plot and where to grow, to sowing and spacing, how to reduce water consumption effectively, deal with pests, grow in longer seasons, make potions of our harvests ideal for fertility of the soil, fertility of the mind, the house and well-being of our bodies. Getting then on to compost making, saving seeds, harvesting and preserving and of course some tasty recipes. Another section is made of seven chapters that divide what we can grow in groups: perennials, roots and leaves, or pods and fruits, and of course salad leaves, and herbs, flowers and unusual plants. The plants listed are ones that repay the gardener incredibly in relation to the care they need. The last chapter is on trading and selling the gardens yield. Homeacres, Charles and Steph’s house and garden is a half acre profitable business, and the reader will learn that it is possible to make something out of a small plot if in need or even just trade the harvest. The layout of the chapters is great, the pages are full of tables that share information on different solutions we can implement. For example, what sort of row cover shall we choose for our garden, a specific table will help choose, keeping an eye on cost, life durability and effectiveness. The reader is put in the condition to make a decision, to think. Practical boxed tips are dispersed numerously throughout the book and all the plants have a well defined data sheet, with all sorts of information, possible yields and propagation, etc. If I was struck visually I must say even the content on specific topics is a real payoff. For the first time Charles and Steph have brought together their writing and gardening skills, and the final result is great. Charles has more than seven books published as well as numerous articles. Steph signs her first book but has been writing for years in magazines. The idea of writing together could have not necessarily been a success, instead what the reader takes from this book is how gardening brings together people, may they be couples or simply friends, but sharing from garden to table is fertile for soil and for families and our communities. Charles and Steph have been able to bring together their personal experiences and differences and make them complete. If you want to start simple and build confidence in gardening this is the book you should choose, if you’re an experienced dirty hand this is still the book you should choose, you will be surprised of how much you will learn from its pages. Is this the usual or umpteenth book on gardening? I was asked by a friend that saw me reading it, I said not at all. This is much more, it is a treasure of information, it is a complete guide to fertility and healthiness from soil to body made clear through real life experience. 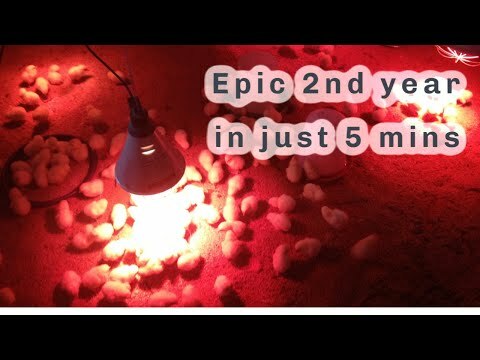 is Joel Salatin's farm a permaculture designed or managed farm? 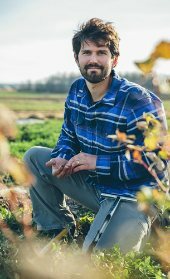 Welcome Zach Loeks, author of The Permaculture Market Garden! Welcome Zach reading your book right now. Great to see finally a path traced for farmers that permaculture can be applied even to profitable work. 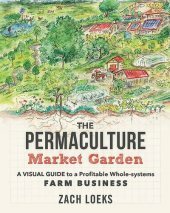 I hope it will help move from the idea that many farmers have that permaculture is a sort of banned word and concept. Michel Kegels wrote: Where can I get the book in Europe?